Are Atheists Really a Persecuted Minority? Will Gervais and Maxine Najle are co-authors of a study suggesting that far more Americans are atheist than previously thought. The dubious claim by Gervais, director of the University of Kentucky’s Beliefs and Morality Lab (Bam! for short), and Najle, a grad student advised by Gervais, provided fodder for a fake news story posted this past week on the website FiveThirtyEight. “Attitudes about atheists are quickly changing, driven by the same powerful force that transformed opinion on gay rights,” wrote Daniel Cox, who hyped the study by Gervais and Najle. That’s how the study’s co-authors determined that there may be as many as ten times the atheists as previously thought. So why did Cox, whose day job is research director for the Public Religion Research Institute, neglect to mention the disclaimer in his article for FiveThirtyEight? Why did Nate Silver, founder and editor of FiveThirty Eight, green-light the story absent such salient information? And why did Gervais and Najle publish such junk research? It’s because they are all agenda-driven members of the Irreligious Left. Their aim is to destigmatize atheism. Their insidious goal is to mainstream America’s God deniers; to “normalize” the hellbound who are brazenly anti-Christ. That’s why Gervais pretends he is not atheist (as opposed to his co-author Najle, an out-of-the-closet atheist who, between her studies, is co-organizer of a Lexington, Kentucky atheist group). As to Cox, he is an advocate of “religious tolerance of atheists,” as if they are some sort of persecuted minority. Taking a page out of the gay rights playbook, he used his FiveThirtyEight fake news story to lend credibility to the claim by Gervais and Najle that more than a quarter of Americans are atheist. So why inflate the number of atheists? To mislead the public into believing that God deniers are America’s biggest minority, surpassing not only homosexuals, but also blacks, Latinos, immigrants, disabled Americans and seniors 65 and older. To the twisted thinking of atheists, it stands to reason that, if the rights of homosexuals, racial and ethnic minorities, legal and illegal immigrants, disabled Americans and retirement-age seniors are protected under federal and state law, the same ought to apply to atheists. Like the existence of God, through Whom all things were made, and without Whom nothing was made that has been made. 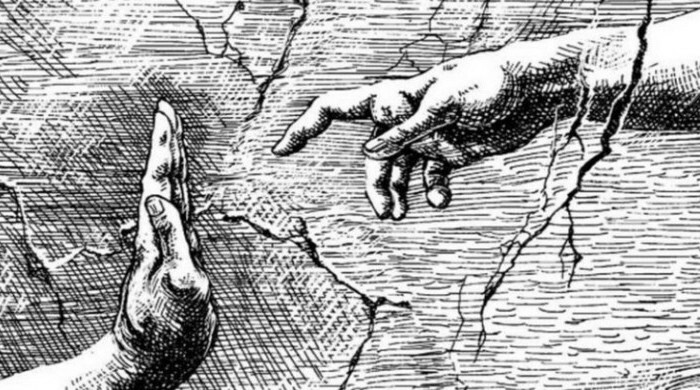 Those who shake their fists at God – like Gervais, Najle, Cox and Silver – delude themselves that there are no eternal consequences for their rebellion in this life. But a day of reckoning awaits when they will meet their Maker; when their fear and trembling on the day of judgment will give way to weeping and gnashing of teeth. 21 May	This entry was published on May 21, 2017 at 3:04 PM. It’s filed under ATHEISM and tagged CURRENT EVENTS, DANIEL COX, FAKE NEWS, FIVETHIRTYEIGHT, GOD DENIERS, MAXINE NAJLE, NATE SILVER, PRRI, WILL GERVAIS. Bookmark the permalink. Follow any comments here with the RSS feed for this post.